The 28-year-old tried drinking more beer and eating ice cream to push the fish down but to no avail. Natural History Museum RotterdamThe catfish in question on display at the Natural History Museum in Rotterdam. A man in the Netherlands, while drunk and on ecstasy, swallowed a spiked catfish in a strange ritual with friends that consequently lodged in his throat. Most of us are perfectly content to share a few drinks with our friends without engaging in any dangerous, potentially lethal behavior. But there are, of course, exceptions to that standard. For instance, this group of young Dutchmen who made it a tradition to end their nights about town by swallowing live fish. The “Jackass”-inspired stunt took a wrong turn when one of the young men accidentally consumed a spiky — and venomous — catfish that then lodged in his trachea. 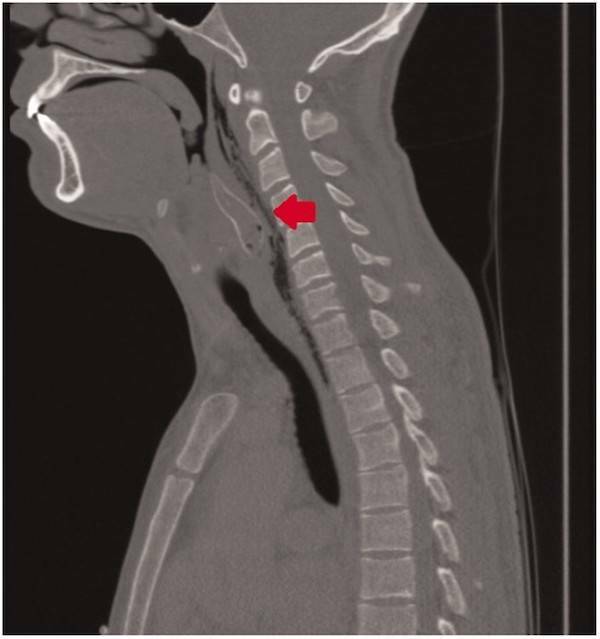 The incident took place at a party in Rotterdam in 2016 but the details have just recently been published in the journal Acta Oto-Laryngologica Case Reports. The group’s curious ritual began with a few goldfishes and had continued smoothly until one of them had the uneducated misfortune of swallowing a catfish with fairly serious defense mechanisms. The men allegedly chanted “grote vis, grote vis!” or “big fish, big fish!” as their friend attempted to get the spiked catfish down his gullet. 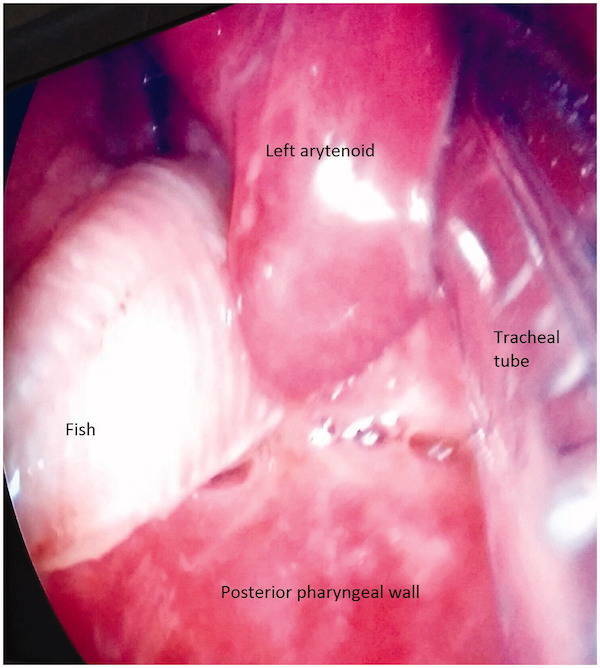 Linda Benoist / Erasmus University Medical CenterA CT scan pinpointing the location of the catfish in the patient’s throat. Cellphone footage reportedly shows the man spitting blood into a bucket as the fish’s locked spines dig into his throat. The man then ate ice cream, honey, and drank more beer in the hopes that he could defuse the problem himself. Benoist et al.The catfish prior to its removal in the man’s throat. By the time he actually received medical attention, the catfish was dead. Fortunately for the patient, it hadn’t secreted enough, if any, of its venom. The man was examined about a year later and was found in perfect health. It’s unclear whether or not the patient has upheld his fish-swallowing tradition since that fateful evening in 2016. If he has, Dr. Benoist had some rather practical advice to impress upon him: “I’m not an expert in goldfish swallowers, but I can imagine that fish species without (spikes) would slide easier into the stomach,” she told LiveScience. 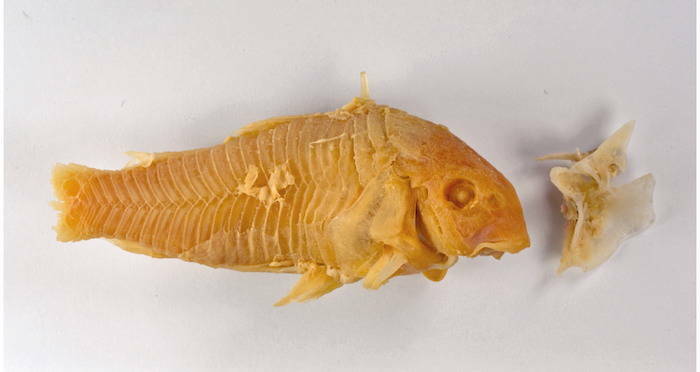 The fish, meanwhile, has been donated to the Natural History Museum Rotterdam where it will surely serve as a warning to any potential fish-swallowing newcomers. Perhaps the patient would fare better in the future if he opts for goldfish crackers instead — and leaves the dangerous stunts for those highly-trained professionals on MTV. After this bizarre story of a drunken man getting a venomouos catfish stuck in his throat, take a look at Winston Churchill’s drinking regimen, which included a morning whiskey “mouthwash.” Then, learn about the island of drunk monkeys..